Find huge deals in Iwate, Japan that you may book now & pay later! Best prices for in Iwate, Japan. A dream vacation for you and your family, guaranteed by our travel consultants. For members-only deals, we recommend using the new filter for deals in Iwate, Japan. 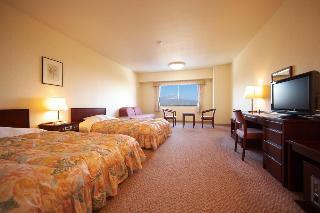 This comfortable hotel is located in Kitakami. Toyoko Inn Kitakami-eki Higashi-guchi features a total of 194 accommodation units. This is not a pet-friendly property. 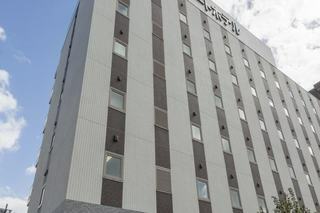 This 3 star hotel is located in the city centre of Hachimantai. The Hotel has a coffee shop, an indoor swimming pool and an outdoor swimming pool. All 133 rooms are equipped with hairdryer, safe and air conditioning. A City Hotel. The wide beds will provide a relaxing atmosphere. Located infront of Ichinoseki Station and convenient for sightseeing such as Chuson Temple, Motsu Temple, and Geibi Valley. 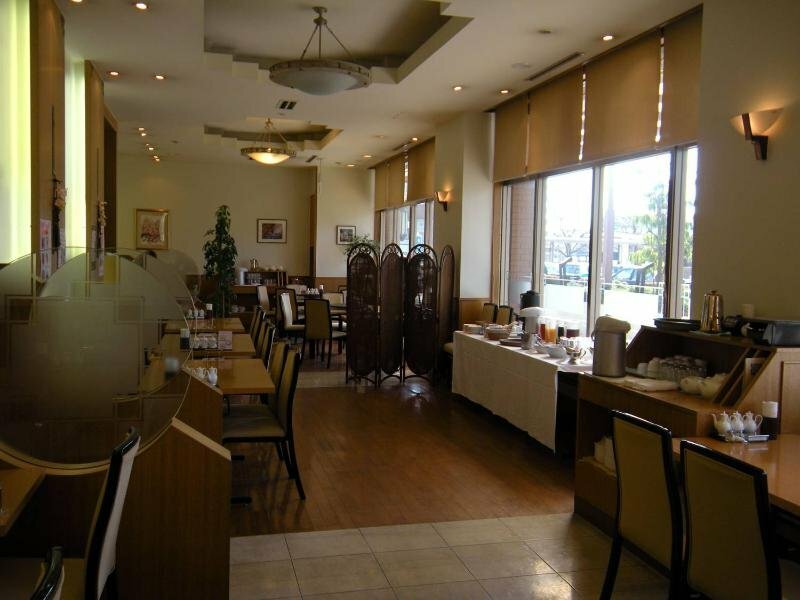 Equipped with small and large banquet hall suitable for the wedding, party, or event. Directly connected with the station building of the Tohoku Shinkansen station Morioka, the check-in is only a one minute walk. 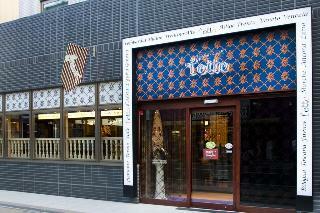 Located in the center for business and tourist activities in Northern Tohoku. As it is possible to spend a peaceful time in the relaxed atmosphere of our rooms, we are highly valued by our guests. The rooms in classic European stile filled up with Morioka atmosphere, banquet hall where also international conferences can be held, Chapel and similar facilities are of Morioka top-class. The best location for visiting Koiwai Farm or Lake Tazawa, the guests can enjoy the view of Ouu Montains and Lake Zeze from any guest room. The traditional hospitality is expectable. 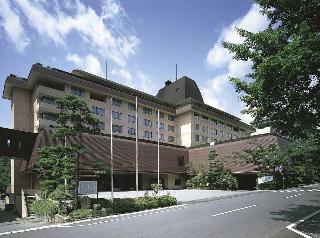 This lovely hotel is located in Kitakami. There are a total of 121 accommodation units on the premises. This is not a pet-friendly hotel. A large variety of facilities like the festival place reminding of village festivals, a treatment of set home stile dishes taken at the fireplace in the south building, Karaoke rooms and so on guarantee groups as well as families to spend their time making lots of memories. Being located on a hill at the Jodoga beach of the Rikuchu coast, the earliest sunrise of the Honshu island can be seen from here. In our traditional Japanese stile inn, the seawater open air bath is highly valued by our customers. This comfortable hotel is in Morioka. The 196 welcoming bedrooms offer a perfect place to relax at the end of the day. This is not a pet-friendly establishment. This charming hotel is situated in Morioka. The hotel consists of 182 bedrooms. Those who dislike animals may enjoy their stay, as this hotel does not allow pets. 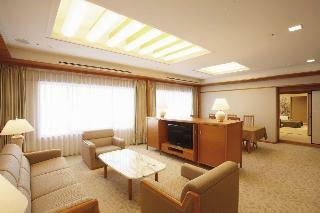 This comfortable hotel is in Morioka. There are a total of 190 bedrooms at Higashinihon. This is not a pet-friendly property. 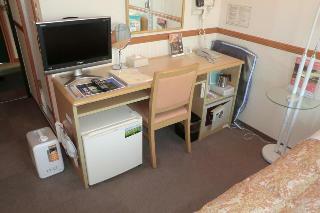 This comfortable hotel is situated in Kitakami. The establishment consists of 207 bedrooms. No pets are allowed on the premises. 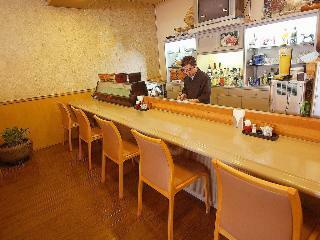 This comfortable hotel can be found in Kitakami. Pets are not allowed at APA Hotel Kitakami-Ekinishi. This simple hotel is in Morioka. The reception desk is not open throughout the day. Pets are not permitted on the premises. 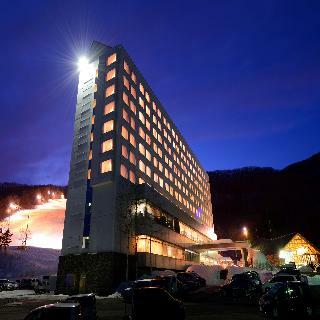 This cosy hotel is located in Ichinoseki. There is no 24-hour reception. No pets are allowed on the premises. 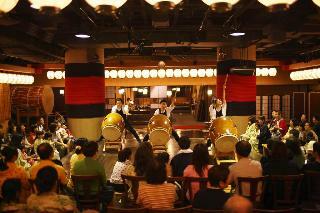 Convenient location for sightseeing tours, to the airport, Shinkansen trains. The fresh dishes are one of their best selling points. Located at the center for tourism in northern Tohoku well connected to the net of high speed far distant transportation with the airport, the Tohoku expressway and the Tohoku shinkansen line. In our Japanese stile residence, the dinner buffet offers a variety of dishes from fresh fish and shell fish to famous regional specialties. Hanamaki Onsen, hot spring town located at northern part of Japan, 1hour drive from Hiraizumi. Kashoen is a luxury Japanese ryokan, in a traditional Japanese style architecture, surrounded by the pine forest. This lovely hotel can be found in Hachimantai. This simple hotel is located in Iwate. Stands in the wonderful nature with clean dtream, rocks and mountains. Many baths (some of them are opea air bath) in the nature will be the highlight of your stay. Yusen Shidate, it is a luxury Japanese ryokan that could enjoy the Japanese resort at the hot spring. Each room is with private open air bath and also could enjoy the open air bath in the nature located at the river bank. Build in the scenic beautiful place Genbikei, completed by the bamboo forest and lawn colored by seasonal flowers at the Japanese stile inn. the natural hot spring is mild to the skin and has a healing effect against atopic dermatitis. Perfectly located for visits to the tourist town Hiraizumi. This charming hotel is situated in Ichinoseki. Located in the Okuzashiki in Morioka, in the center of the atmospherically hot spring area along the river Oshuku, please relax in this Japanese stile establishment. 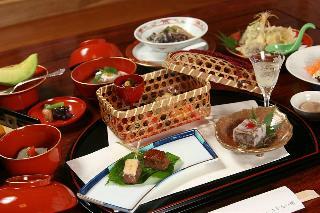 Our Japanese stile tray dinner is renown for its local taste of deep mountain ingredients. 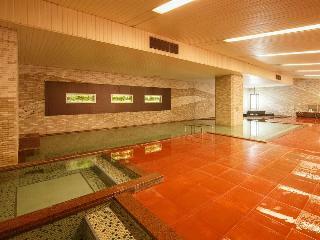 Our biggest pride is the our spa nurtured by the hotel own original spring with a water output of 1100 liter per minute. At a place related to Mr. Okushuu Fujiwara in the center of Hiraizumi, the hotel is perfectly located for visits to the temples Chusonji and Motsuji. Refresh from the exhaustion of Your travels in our vividly flowing hot. This charming hotel is in Iwate. This lovely hotel is in Hachimantai. This lovely hotel is set in Hachimantai. Our natural hot spring is mainly made of sodium bicarbonate blowing out from the stratum of the few Mordenite. 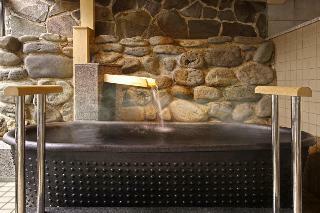 It is known that this type of hot springs is unusual here in Japan and popular as a hot spring for beautiful skin . 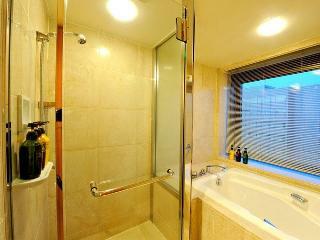 We also have two reservable private baths in which guests can enjoy the private time with families and groups. This lovely hotel can be found in Miyako. This lovely hotel is situated in Miyako.